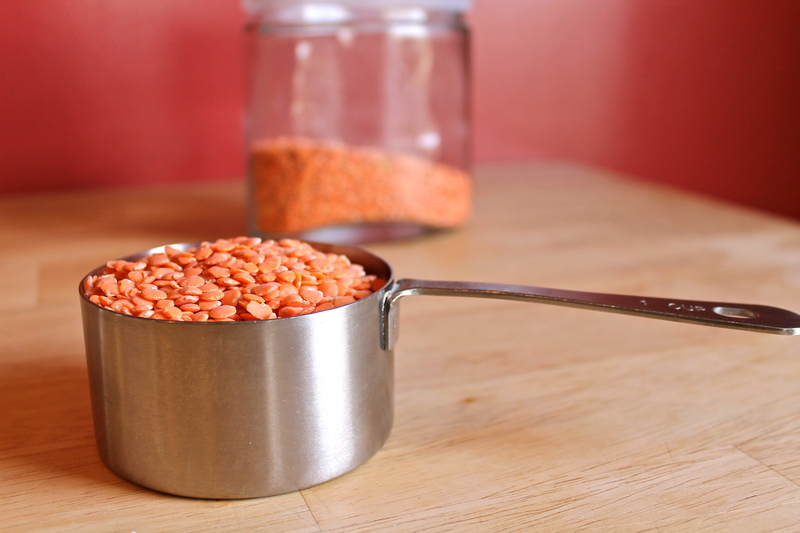 When I was in India, I ate lentils everyday. Actually, that’s not true. At first I ate lentils everyday, but towards the end of my trip I started to revolt against the lentils. I don’t know if it was the fact that eating dal at every meal—breakfast, lunch, and dinner—was starting to make me crazy, or the fact that by that point I hadn’t had a decent cup of coffee in a month and, pleasant attributes of tea aside, when you are a coffee fan who is deprived of coffee for weeks at a time, life starts to fray around the edges a little. Now, back in America for many years, I can’t seem to get enough of dal. We don’t eat Indian food in our house as much as I would like to (see: five year-old child who can’t handle spicy food), but when we do, I like to make the meal a real occasion by not just making a standard main dish and side dish, but also making naan or parathas, a few condiments, some pickles, and, most of the time, a different dal, depending on my mood. Madhur Jaffrey has several fantastic dal variations that involve yellow split peas, sautéed cabbage, and sometimes just a few chiles and a bit of garlic oil, and for years I faithfully made any one of those dals whenever I was in the mood for some pulses to accompany my Indian meals. 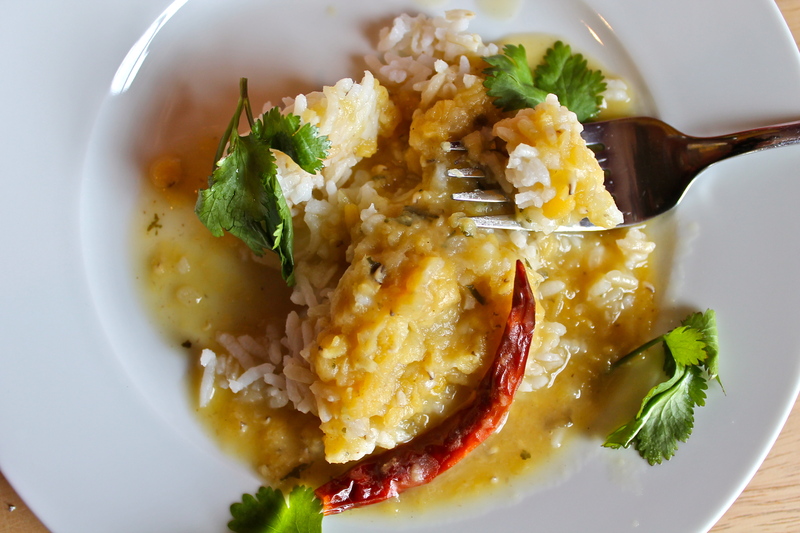 Changing up the game, however, comes this coconut milk dal from Naomi Duguid and Jeffrey Alford. As simple as can be, it is, once again, a perfect dish from two people who really seem to have a rock solid grasp of flavors and spices, and how one can highlight the best of both by using ingredients that nudge one another towards a grand conclusion. The coconut milk is an unexpected treat here, and not something I usually see in dal. Duguid credits this dish as being more prominent in Southern India—it is actually something she remembers eating quite a bit in a Tamil restaurant—which makes sense, considering the common appearance of coconut and coconut milk in the dishes of Southern India, but not so much in the cuisine found in Northern India (where my family is from). No matter its origin, this dal is a fantastic addition to any Indian meal, large or small, elaborate or simple. I’ve taken to eating it with this new favorite cauliflower dish, and I think it would be a wonderful pairing with this delightful chicken biryani. Really, you could just eat it over plain old basmati rice and it would be a staggeringly good meal. I suggest you get right on it. 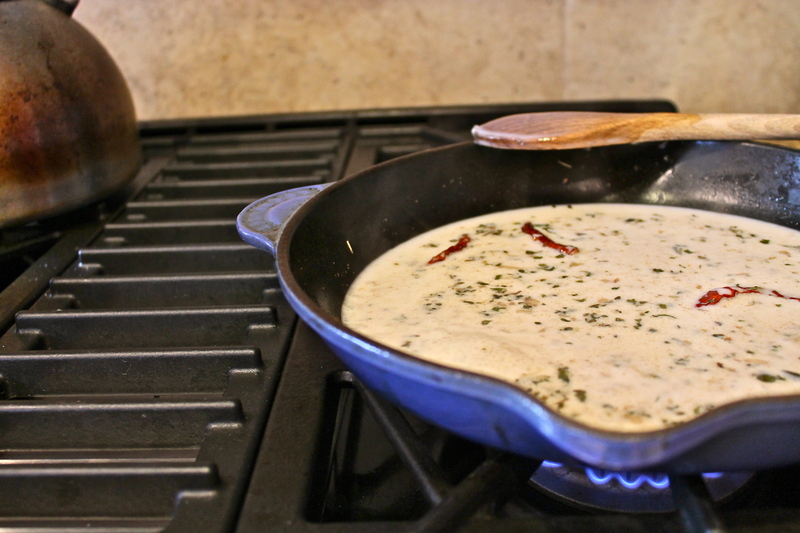 Heat a wok or a heavy skillet over medium-high heat, then add the oil. 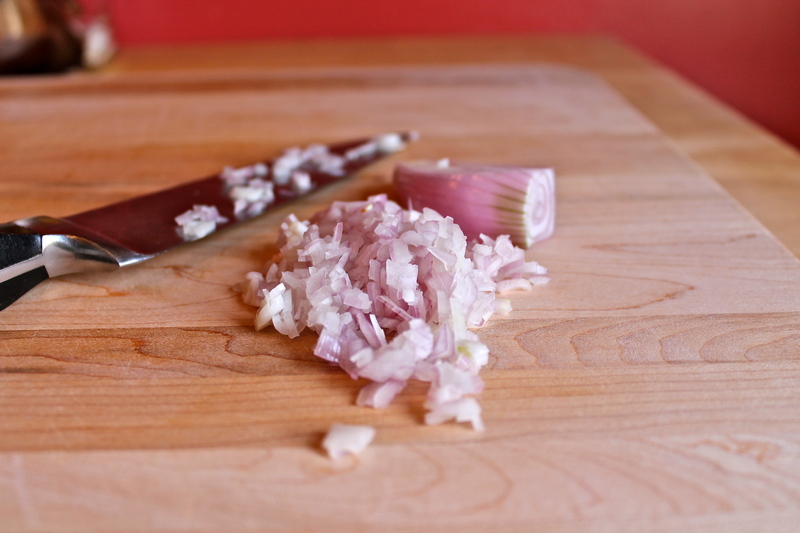 Toss in the garlic and shallots and stir fry for 2 minutes. Add the curry leaves, chiles, and ground coriander. Mix well and cook for another 2 minutes. 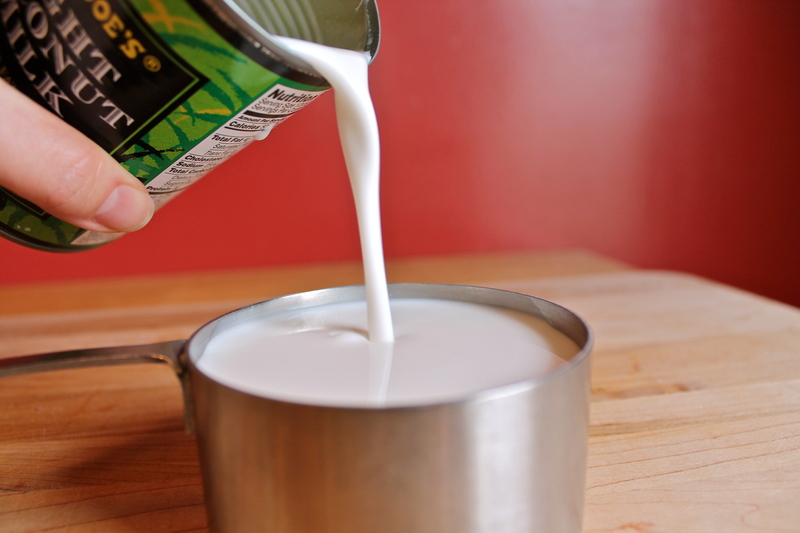 Stir in the salt and coconut milk, then lower the heat and simmer for 5 minutes. 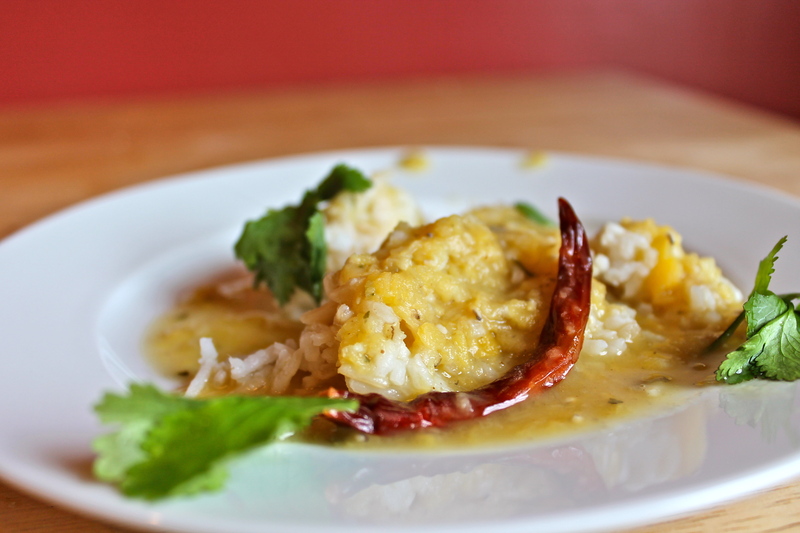 Add the coconut milk mixture to the hot dal and simmer for a few minutes to blend the flavors. The longer you cook the mixture, the thicker it will get. Serve hot. Just got a Madhur Jaffrey book from my local library–excited! Madhur Jaffrey is great! You really can’t go wrong with any of her books, I think. If you find you enjoy cooking (and eating) Indian food, I recommend picking up a copy of Duguid and Alford’s “Mangoes and Curry Leaves.” It’s a treat of a book. If I can’t get curry leaves, can I use powder? If you can’t get curry leaves, I’d just add in another bay leaf. The flavor will not be entirely the same, but it will still taste delicious. 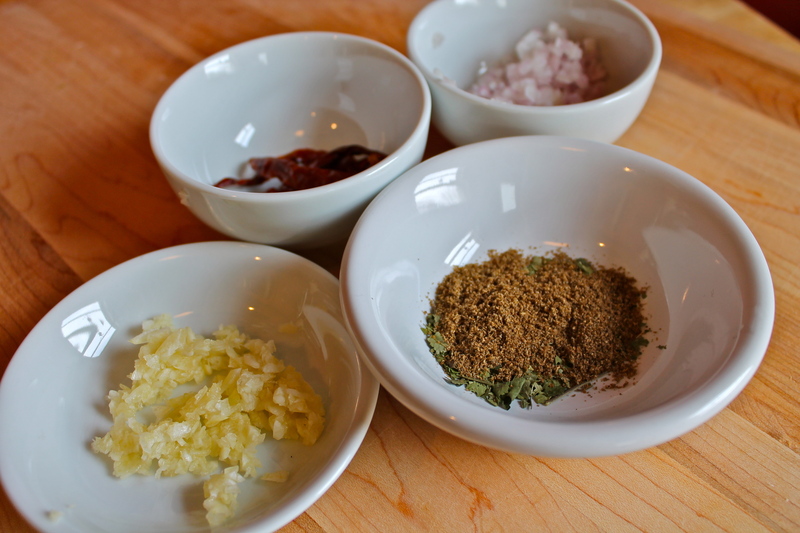 Curry powder is an entirely different animal–it’s a blend of several different spices, none of which happens to be curry leaves (confusing, I know), so it can not be used as a substitute. Hope this helps! Absolutely. I had no idea about the difference. I can’t wait to try this!